Galibier. 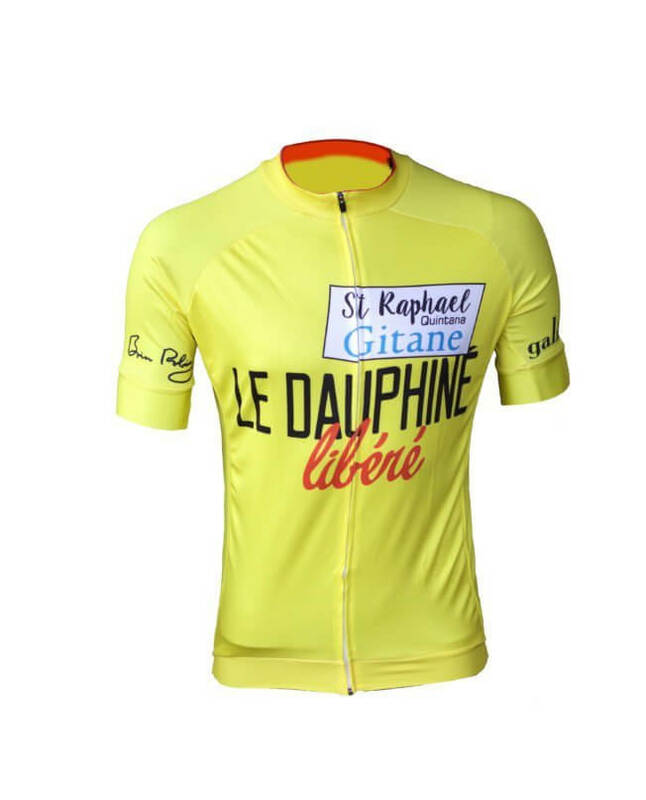 | Brian Robinson’s Dauphiné Libéré jersey. 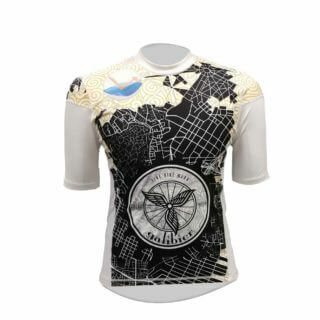 A jersey to raise money for a legends personal charities. 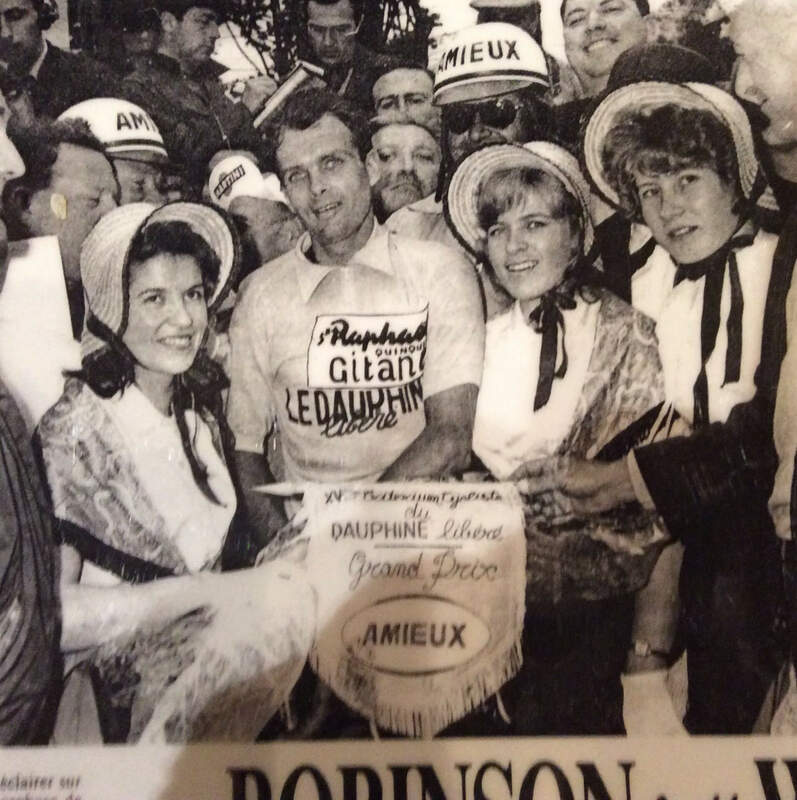 In 1961 Brian Robinson pulled on the final winning jersey in the Critérium du Dauphiné Libéré which he won in style, taking two powerful stage wins that week. It is a highlight of a groundbreaking international career. Brian’s life in the saddle began with some Time trialling in post war Yorkshire. His talent shone in the emerging road race scene, which saw him participate in the Olympics in 1952. That alone would be enough palmares for most of us. Whilst doing his national service. But, the world took notice of his climbing power and style with a second place in the 1954 Tour of Britain after leading for 4 stages. He progressed steadily until, A breakthrough ride in the 1956 Vuelta a España, where he finished 8th. 8th in a race, longer and harder than todays event, and generally unsupported. 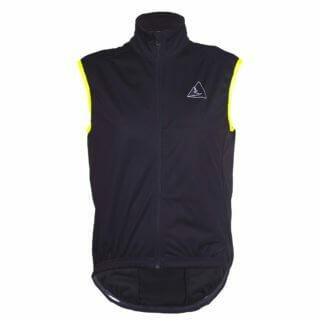 Brian went on to establish himself in the evolving European pro peloton. Racing with generations of stars we only hear whispered. He led the way for British professionals and opened up opportunities. Robinson was more than just a pioneer, he was a complete rider. 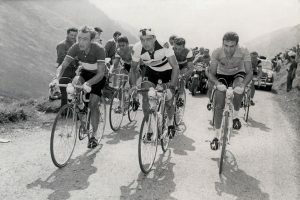 In 1958, Brian won stage seven of the Tour de France, to Brest and followed that up the following year with a dominant win into Chalon-sur-Saône, by 20 minutes. He finished the Tour 19th, having at one time been ninth. That year he helped get his professional Rapha Geminiani team to sign Tom Simpson. Within weeks, he was watching Simpson win two stages of the Tour de l’Ouest. Brian finished 26th and 53rd in the Tours of 1960 and 1961. Brian now resides in – Mirfield, but what makes him a complete cyclist is giving back. 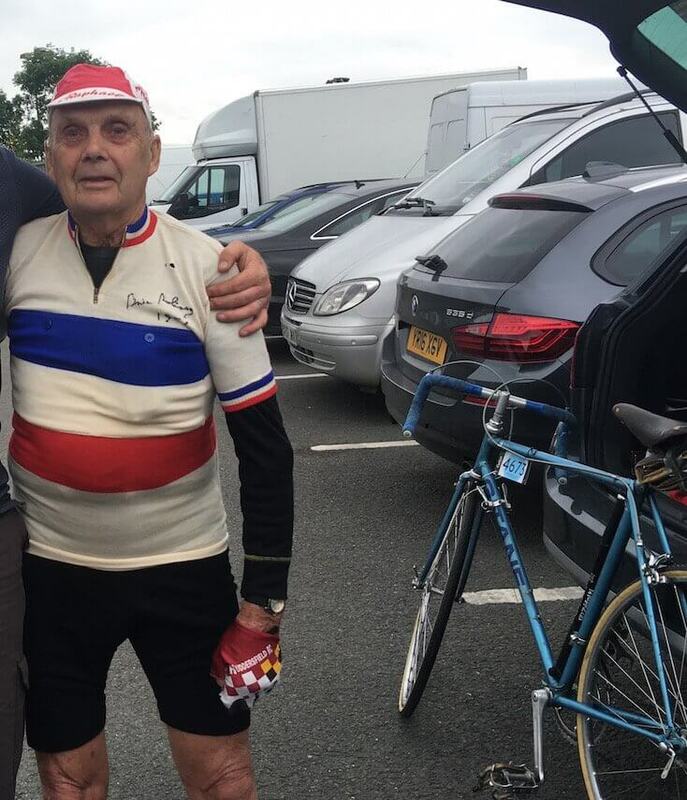 Well into his 80’s, he still loves cycling and works hard for the Dave Rayner fund and volunteers with Streetbikes. The latter seek out unused bikes knock them into shape and offer them to underprivileged kids along with training in his locality. These are the career footprints of a legend. Doing as much for cycling, long after his career has finished. We wanted to honour the man and his life work and raise some cash for his charities. After meeting Brian at the Eroica Britannia, we proposed to reproduce his favourite career jersey to benefit a cause close to his heart. 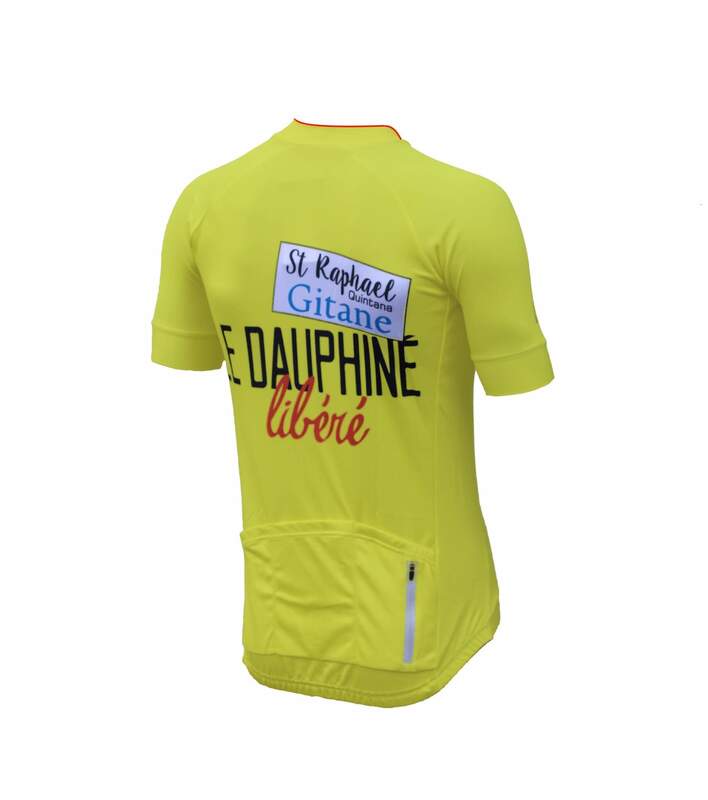 He chose his Critérium du Dauphiné winning garment and Galibier have made a limited run of 50, modern day replicant jerseys. We are selling these for £50 including postage and the whole purchase price will go to the charities. (we will cover production and shipping). as it passed through the mountains and won the race, in style. 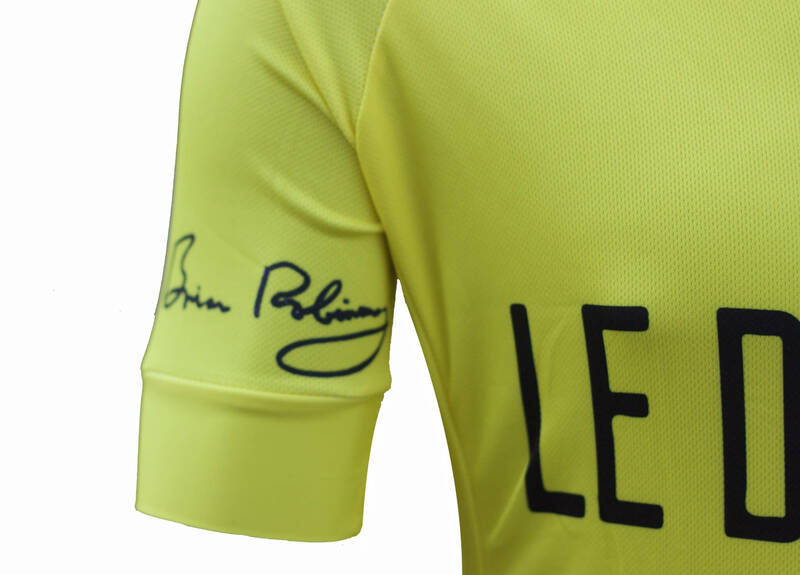 If you’re getting a jersey for Christmas, make it this one, Honour the man’s ability and his life in the saddle. 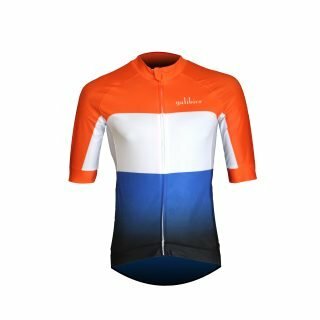 1 review for Brian Robinson’s Dauphiné Libéré jersey. 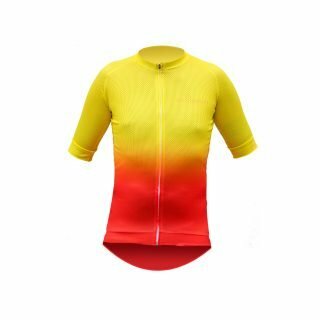 I do like the yellow. Fit perfect for me. Went for a large. 5 10. Added something to my ride. Je ne sais quoi. Felt quicker!